It has been just discovered a new Trojan for Windows 8 which is virtually brand new. Symantec has detected the Trojan hides in documents of Microsoft Word and other rich text formats like RTF, injecting malicious code through Trojan.Dropper. 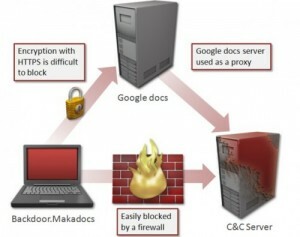 In addition to its modification to work with the new client and server operating systems from Microsoft, the other important aspect of this Trojan is to use Google Docs. Cloud productivity suite is increasingly popular and whose function ‘viewer’ is used to get information from the infected computer and receive and execute commands from a command and control server. This was all regarding the all new Trojan for Windows 8, so be aware about it, hope soon there will a solution for it.